The majestic volcanic island of La Palma is home to many natural wonders and tourist spots. Now, it can also add “wildlife sanctuary” to its long list of attractions. 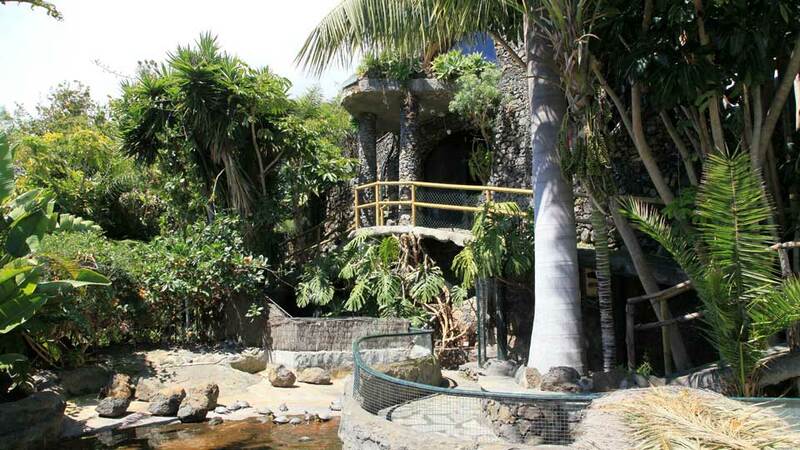 Maroparque in Breña Alta is a vertical zoo, the only one of its kind in the Canary Islands. It isn’t just a regular wildlife park though. It is also a place of refuge for many exotic and endangered faunas, a hideaway for animals snatched from their natural habitats. Hence, this shelter is their second home, and everyone’s invited to visit. Maroparque is a wildlife park and rescue center built on the western side of El Galeon ravine. Because of its location, it’s also an exceptional vantage point to view the blue sea, the mountains, and Santa Cruz de La Palma. In essence, visitors not only get to encounter different animals, but they also get to admire sceneries as well. The facade of the park is the epitome of simplicity and going green. It has vines and other types of floras covering the walls. And there’s no loud and distracting designs or posts. Some may think that it’s too dull. However, the outside was made that way to be in harmony with the forest-like interior. The zoo can be easily missed though, so a more prominent signboard bearing its name can only help. At the reception, guests are warmly welcomed by Bo Bo, a cute owl, before touring the 7,000 m2 park. Although it’s small compared to other zoos, they do house an impressive number of animals. Currently, over 300 exotic and endangered animals call it their home. All have decent-sized enclosures in tropical forest-like surroundings. The rich botanical inventory of La Palma is evident in Maroparque. Its lush indigenous vegetation canvas the landscape and gives a tropic but cool aura to the park. The whole park unquestionably feels like it’s one with nature and visitors can’t help but sing praises. They also love and enjoy the pleasant walks under its shade. The vertical zoo’s wooden bridges and cobbled walkways take visitors through the aviaries. In this section, various species such as birds of prey, parrots, cranes, and toucans fly all around and overhead. 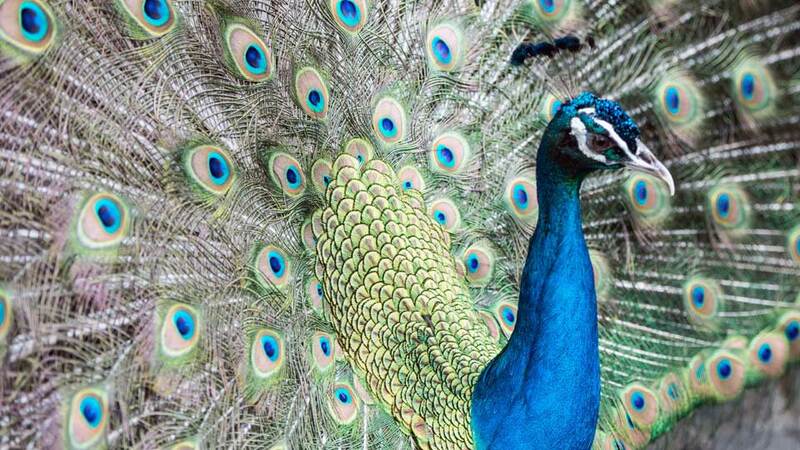 Peacocks even boast their dazzling tails as they freely roam. Other exotic animals like crocodiles, snakes, turtles, alligators, iguanas, monkeys, deer, porcupines, kangaroos, and different types of fishes also take refuge here. 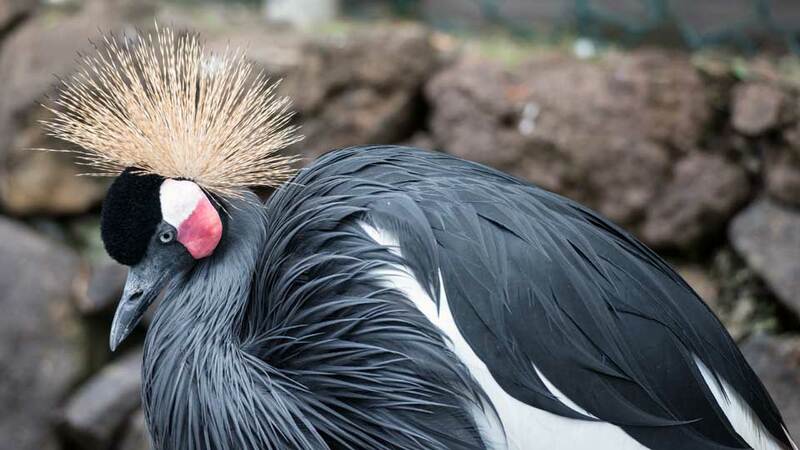 The park is also home to some extraordinary-looking animals. The very cuddly Silky Hen Japan with fluffy white feathers gets mistaken for a poodle from afar. A group of Marmoset Black Brush with thick hair around its ears frolic with each other. As for the albino kangaroos, they just love basking in the sun and the attention. Experience Maroparque for only €8 every day except Mondays. From Tuesday to Friday, they are open from 11:00 to 17:00. Saturdays and Sundays, they open at 11:00 and close an hour late at 18:00. Since this is a vertical zoo built on a steep hill, it’s best that guests wear their climbing/hiking/walking shoes. For those touring with kids, it’ll be hard to push carts or strollers around. Please consider leaving those items at the reception. As for guests who have difficulty walking, it is best if they visit with family or friends who can assist them. Brave souls can hold and carry the enormous pythons and the other snakes. All they need to do is ask. At the moment, no sign says anything about it so people who are interested must approach a zoo staff. Breña Alta’s food scene is thriving more than ever thanks to the influx of tourists in the town and neighboring areas. Daytrippers can fill their tanks up, so they have enough energy for their Maroparque walk. They can also dine after visiting the park and going around the town. Either way, having a taste of its gastronomic offering is a must. For those in a hurry but would still like to try what Breña Alta has to offer, the park has its restaurant. They can have a bite before or after the stroll. Also, guests can rest and dine in the middle of the tour or when the baby gets fussy. Other than eating, coffee or soft drink is available for only €3. Restaurante El Ingeniero is one of the town’s best. Tourists can visit the very traditional Canarian farmhouse-looking restaurant every day except Tuesdays. Their must-tries include tartar of avocado and prawns, tuna belly with roasted red peppers, octopus leg on a bed of mashed sweet potato, fillet steak in blue cheese sauce, rack of ribs, tenderloin of beef in spicy butter and roasted peppers, and tomatoes in vinaigrette to name a few. Don’t leave without trying their divine desserts too. Their most popular ones are the banana in passion fruit coulis with coconut ice cream, black chocolate brownie with Mary biscuit, and creme brûlée over strawberries. Their Mediterranean and Spanish dishes are as heavenly as the restaurant itself. With so much mouthwatering food on the menu, meals here quickly turn into feasts. Diners can’t be blamed though as it’s such a gratifying place for both the eyes and the tummy. For those who love pizza, Restaurante El Halcon is the perfect place. It’s a beautiful pizzeria where diners can eat indoors or in the garden by the small artificial ‘lake.’ Here, parents can also relax as there’s a gazebo where kids can draw and play. Furthermore, they are ready to serve avid steak, pasta, and pizza lovers every day from 11:30 am to 11:00 pm. Casa Osmunda Restaurant is Breña Alta’s most popular. It’s so popular that locals and tourists alike from neighboring towns drive to dine here. Its facade might not be eye-catching, but the aroma coming from its kitchen spreads far and wide. It’s a simple establishment that is barely noticeable if not for the hordes of people coming in and out. The interior, however, is a different story. The lighting accentuates the beautiful cobblestone walls and makes the indoor sophisticated. They also have a cellar dining area which is simply splendid. If the building doesn’t impress, the food surely will. No particular dish needs to be mentioned, as everything on the menu are must-tries. Their lovely Mediterranean, European, and Spanish dishes deserve a gallery of their own. The taste also leaves a lasting memory and is entitled to at least a page in diaries and journals. Although most tourists drive a car, those who prefer to go by public transport can take bus line 300. It departs Santa Cruz de la Palma every 30 mins from 6:00 to 18:00, then almost hourly from 19:00 to 22:30. The travel time will only be a few minutes. What makes Maroparque amazing isn’t only the fun and informative experience they offer. It’s the dedication to the conservation of wildlife and La Palma’s endemic floras. In fact, all the profit goes to the food and maintenance of the animals and the park. Beyond caring for the shelter, Maroparque also works tirelessly with the Cabildo Insular de La Palma (Environment and Seprona) in increasing and protecting the population of the native breeds. Abandoned and seized exotic animals are always welcome in this park too. A vacation in La Palma is filled with wonders, but a visit to Maroparque can make it more fulfilling and rewarding.